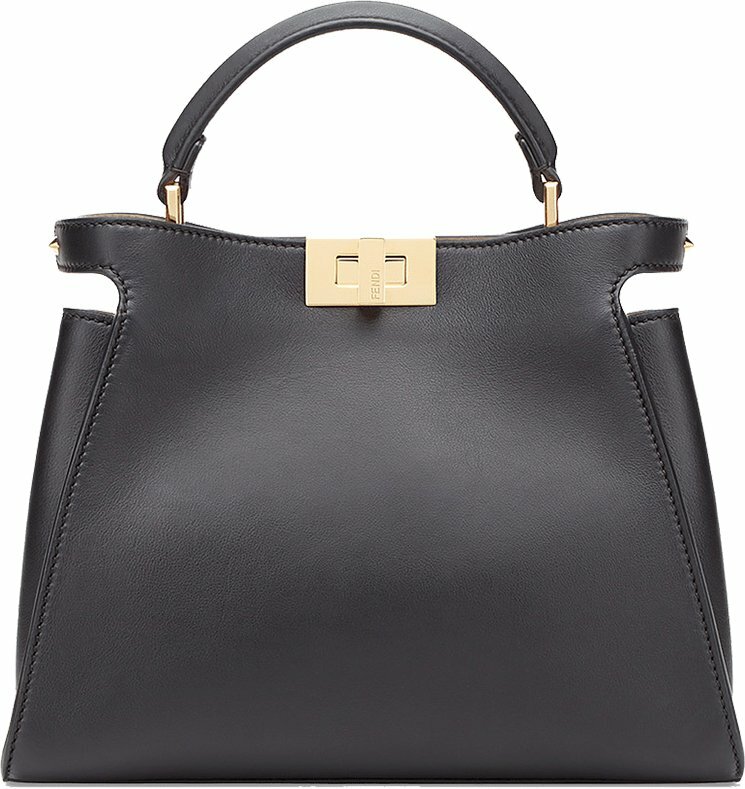 Launched in 2009, the Fendi Peekaboo needs no introduction. 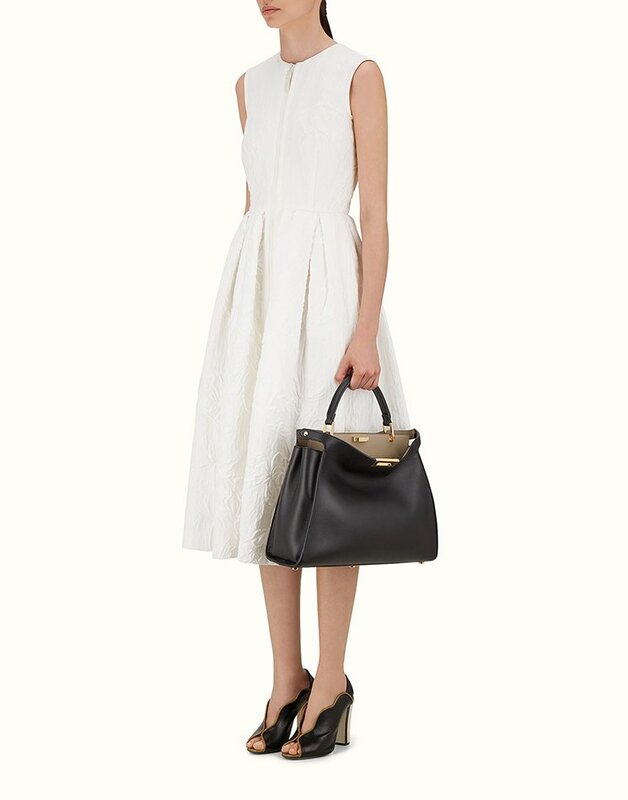 The bag itself is the symbol of fashion and everyone adores it. 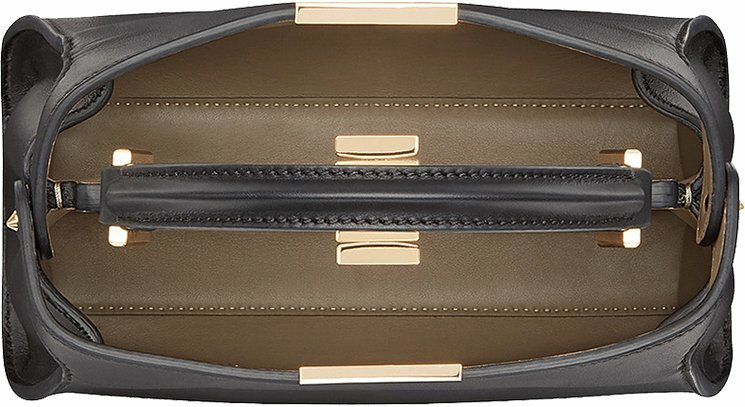 Now last year (in 2017), Fendi extended this line by introducing the Peekaboo Essential Bag, which is a new and slightly different version. 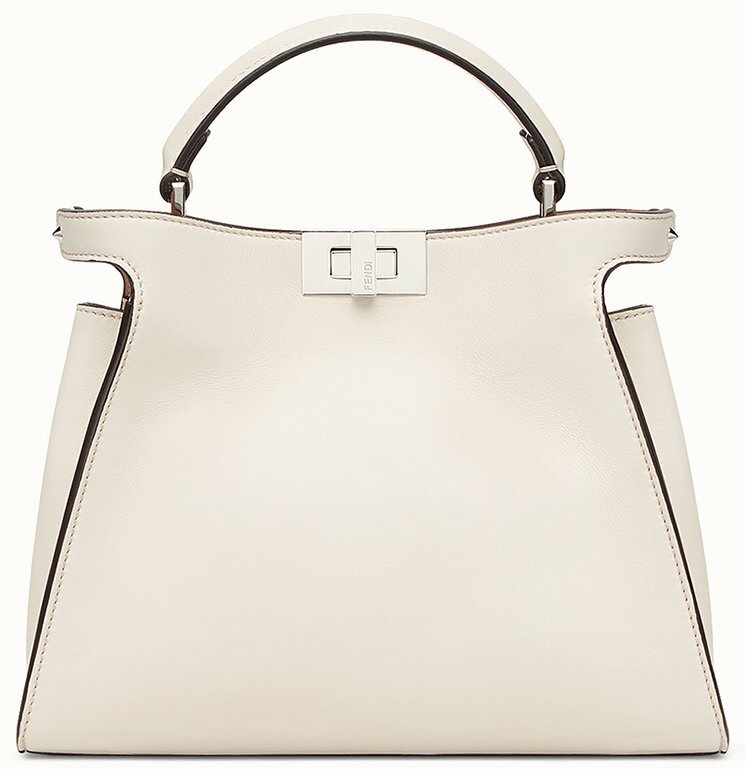 And today they are releasing the Fendi Peekaboo Essentially Bag – a smaller version of the Essential Bag. Don’t you just love the name? 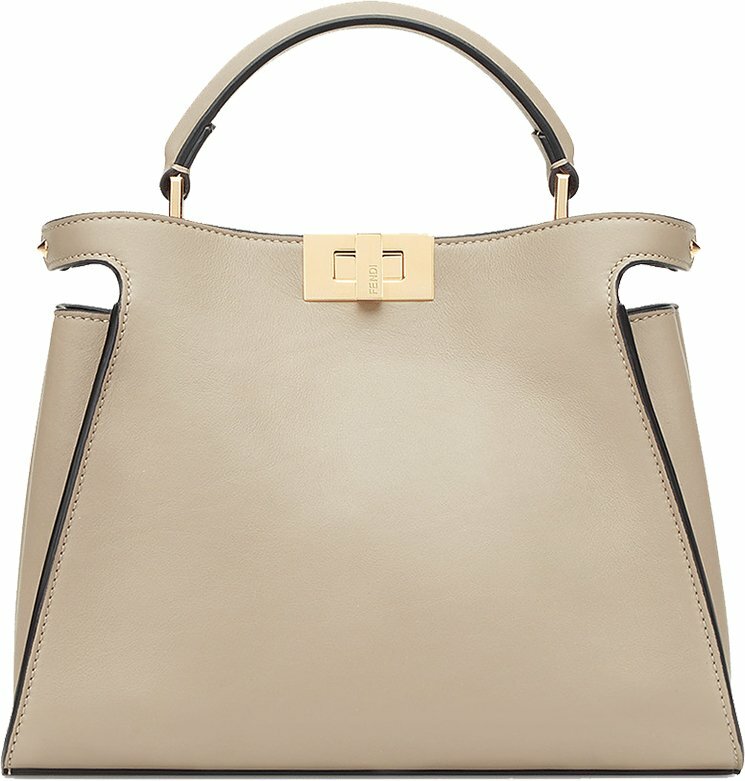 So what’s different about the Fendi Peekaboo Essentially Bag? Well, comparing to the Essential Bag, it’s smaller in size. In fact, you can compare the Essentially Bag as the small/medium handbag while the Essential Bag is the large version. And when you compare the Essentially Bag with the original version of the Peekaboo, there are some mini differences in shape and design. The Essentially looks taller when it doesn’t fall forward. 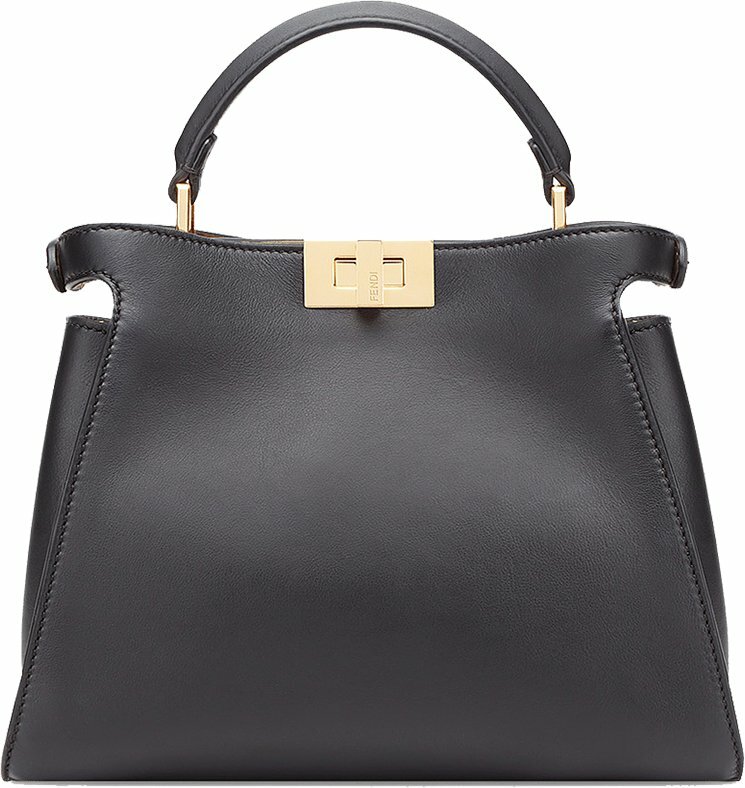 But many components remained the same, like the iconic Fendi twist lock on both sides, the single handle and the leather shoulder strap that comes with it, to carry on your shoulder or cross body. 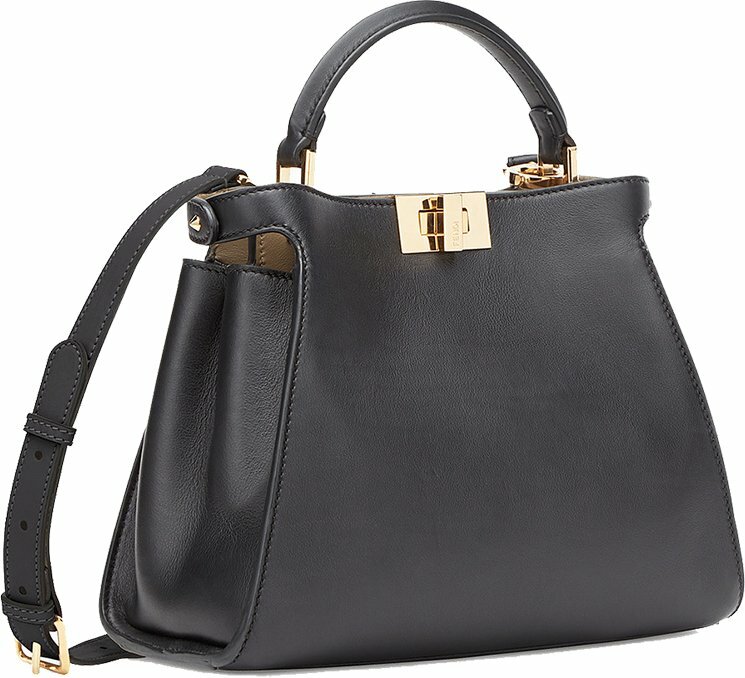 This gorgeous handbag is the latest trend and it’s a must have. The basic leather is calfskin, which is a smooth but strong leather. The Essentially is also a bit different from the inside. It’s made with two compartments divided by a stiff partition. But instead of featuring the double pocket (like on the original version), it’s made with a zip pocket. 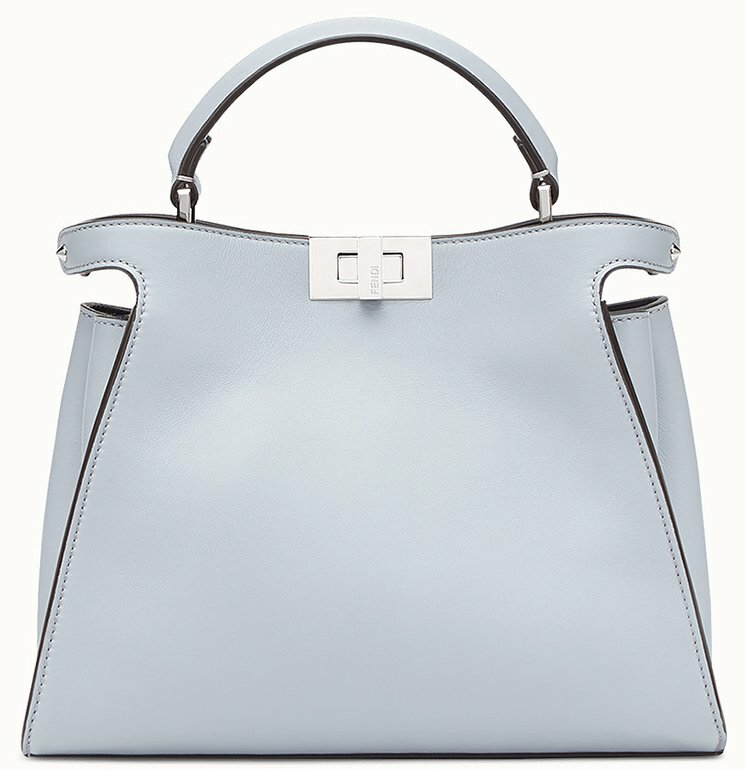 The Essentially Bag is measured 27 x 20 x 11 (L x H x D) cm, priced at €3300 euro, $4550 USD, £3250 GBP via Fendi boutiques.